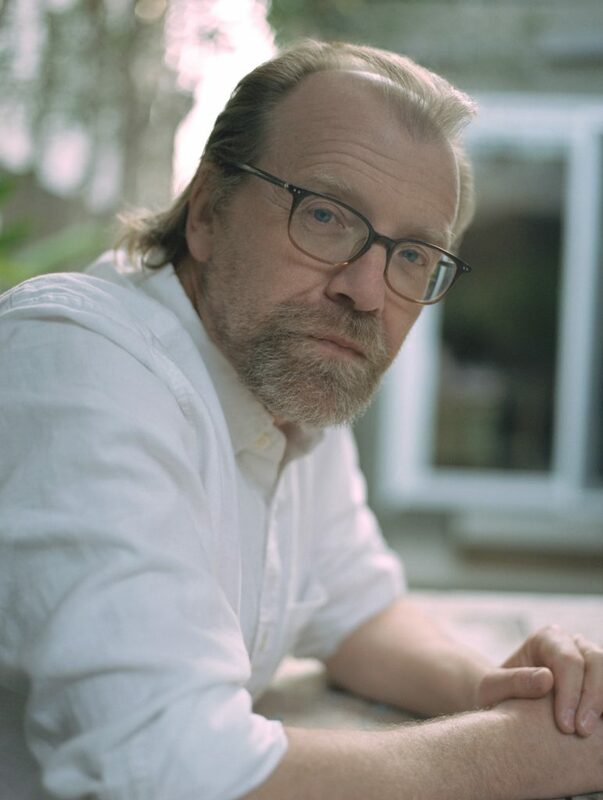 George Saunders G’88, best-selling author (“Lincoln in the Bardo,” “Tenth of December”) and professor of English in the College of Arts and Sciences (A&S), launches the 18th season of the University Lectures season on Thursday, Oct. 18, at 7:30 p.m. in Hendricks Chapel. Saunders will engage in an on-stage conversation with fellow author Jonathan Dee, assistant professor of English in A&S. The Syracuse University Bookstore will have Saunders’ and Dee’s books available for purchase in the Hendricks narthex, and Saunders will be available after the lecture for signings. The University Lectures event is co-sponsored by the University’s Office of Alumni Engagement as part of Orange Central 2018. Media sponsor for the University Lectures is WAER. American Sign Language (ASL) interpretation and Communication Access Realtime Translation (CART) will be provided. Saunders has taught since 1996 in the University’s M.F.A. program in creative writing, the same program in which he was a student, studying with literary mentors Tobias Wolff and Douglas Unger. He graduated in 1988. He worked as a doorman, a roofer, a convenience store clerk and a slaughterhouse worker. In 1986, his life path took a new and important turn. One night in 1986, at a party in Amarillo, Saunders happened upon a copy of People magazine. In it was a profile about renowned short-story writer, poet and Syracuse University English professor Raymond Carver and an accomplished young author and student of Carver’s, Jay McInerney G’86. Saunders was unfamiliar with Syracuse and had never heard of an M.F.A. program, but he was intrigued. He applied to Syracuse University and was accepted. While pursuing his graduate degree in the creative writing program, Saunders met, became engaged to and married Paula Redick. In 1988, their first daughter, Caitlin, was born. In 1990, second daughter Alena followed. Upon graduating from the University, Saunders worked as a tech writer, first for a pharmaceutical company and then for an environmental engineering company. And he also wrote fiction. Saunders’ first significant success with his fiction came with the publication of his short story “Offloading for Mrs. Schwartz,” which appeared in The New Yorker in 1992 (and was one of the pieces in his first published book, “CivilWarLand in Bad Decline,” Random House, 1996) and for Saunders launched a long and very successful relationship with the magazine that continues to this day. When Syracuse University extended to Saunders an offer to teach in the creative writing program, it gave him the security of a regular paycheck with benefits and the opportunity to continue to advance his writing. He produced more short stories for The New Yorker, as well as for Harper’s, McSweeney’s and GQ. He contributed a weekly column, “American Psyche,” to the weekend magazine of The Guardian (2006-08). And he wrote and had published several collections of short stories, including “Pastoralia” (Penguin, 2000), named a New York Times Notable Book, and “In Persuasion Nation” (Penguin, 2006), a finalist for the Story Prize. His short-story collection “Tenth of December” was published by Random House in 2013. It was a finalist for the National Book Award and winner of the inaugural Folio Prize (for the best work of fiction in English) and the Story Prize (best short story collection). Also in 2013, the transcript of a memorable convocation address by Saunders to College of Arts and Sciences graduates, a moving essay on kindness, was picked up by The New York Times website and went viral—within days, it was viewed more than one million times. It inspired an animated short voiced by Saunders. And the following spring, it was published in book form—“Congratulations, by the way: Some Thoughts on Kindness” (Random House, 2014)—and became a bestseller. Random House published Saunders’ first full-length novel, “Lincoln in the Bardo,” in 2017. It was a No. 1 New York Times Bestseller and won the prestigious Man Booker Prize. It also became a hit audiobook (seven hours, 25 minutes), with an impressive voice cast of actors, authors and comedians, including Don Cheadle, Lena Dunham, Bill Hader, Mary Karr, Megan Mullally, Julianne Moore, Nick Offerman, David Sedaris, Susan Sarandon, Ben Stiller, Jeffrey Tambor, Bradley Whitford and Rainn Wilson. Among Saunders’ other notable honors, he was named to Time magazine’s TIME 100 list of the 100 most influential people in the world in 2013. That same year, he was awarded the PEN/Malamud Award for Excellence in Short Fiction. He has also won four National Magazine Awards (from seven nominations), a PEN/Malamud Award and a World Fantasy Award. He has received fellowships from the MacArthur Foundation, the Lannan Foundation, the American Academy of Arts and Letters, and the Guggenheim Foundation. This past spring, Saunders was inducted into the American Academy of Arts and Letters. In all, Saunders has written nine books; his “Fox 8: A Story,” a hardcover short story with illustrations, becomes available Nov. 13. And he recently completed the liner notes for Jeff Tweedy’s new album, “Warm,” which comes out Nov. 30. Dee is author of seven novels, including “A Thousand Pardons” (Random House, 2013), “Palladio” (Doubleday, 2002) and “The Privileges” (Random House, 2010), which was a runner-up for the 2010 Pulitzer Prize and winner of the 2011 Prix Fitzgerald and the St. Francis College Literary Prize. His most recent novel, “The Locals” (Random House, 2017), was longlisted for the inaugural Aspen Institute Literary Prize for “a work of fiction with social impact.” It was named a Best Book of 2017 by, among others, The Washington Post, the Guardian, Vox, Kirkus and the Seattle Times. Dee is a National Magazine Award-nominated literary critic for Harper’s and The New Yorker, a former contributing writer for The New York Times Magazine, a former senior editor of The Paris Review and the recipient of fellowships from the National Endowment for the Arts and the Guggenheim Foundation. The University Lectures was created through, and is supported by, the generosity of alumnus Robert B. Menschel ’51. The cross-disciplinary series brings to Syracuse University notable guest speakers of exceptional accomplishment who share their diverse global experiences and perspectives.